Spices and herbs. Those are the epitome of kitchen staples and the largest player is McCormick & Company (NYSE:MKC). Consumer staples companies are historically some of the most consistent payers and growers of dividends because of their stable businesses. McCormick & Company offers excellent diversification in the spices and flavors portion of your kitchen with both general consumer and industrial customers. 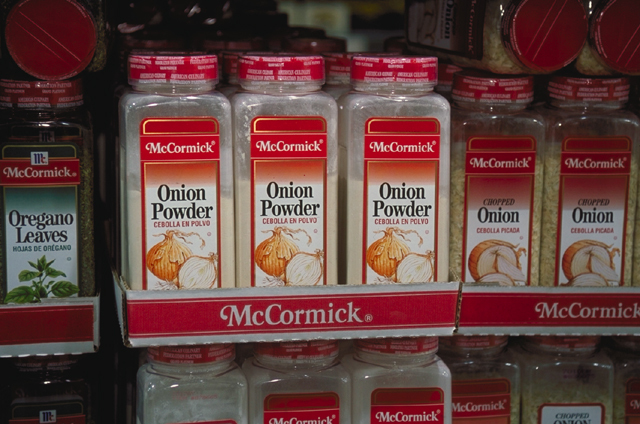 The consumer segment, that's you and me, provide approximately 60% of McCormick's sales while the industrial segment accounts for the other 40%. McCormick also offers global diversification with just over 40% of 2015's revenues coming from outside the United States. There's two parts to determining whether a company should be added to one's portfolio. The first is the quality of the company so we'll examine if McCormick & Company meets that standard. The second is whether the market is undervaluing, fairly valuing or overvaluing the shares in relation to the value of the company. A company's quality is crucial for investors with a long term mindset. Unfortunately companies aren't just labeled high quality we have to look for cues within the numbers. One of the easiest signs to read is a company's dividend history because companies don't just wander into a multiple decade long streak.